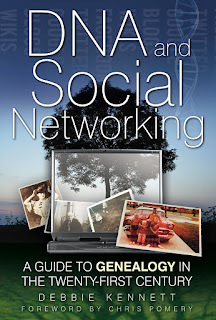 My long-awaited book DNA and Social Networking: A Guide to Genealogy in the Twenty-First Century has now been published and I was very excited to receive my advance copy in the post this morning. I feel very privileged to have been asked to write the book, and it is a humbling experience to see my own words in print. I was almost trembling as I opened the envelope and was able to see the book in print for the first time! I could feel my eyes moistening, and it took me a few minutes to summon up the courage to open the book, knowing that if there is anything I've forgotten or have got wrong it's now too late to make any changes. This book has been particularly challenging to write because there has been a constant stream of new developments in both fields. After submitting the manuscript I had to make a substantial number of amendments in an attempt to keep everything as up to date as possible, with the last changes being made in August. I suspect my book might even be the first book to mention Google+, the new social networking service from Google. Google+ was in beta-testing when I updated my proofs but is now open to all. The publishers have done a magnificent job with the book. It is printed on good-quality paper, and the illustrations, although necessarily in black and white, have all been reproduced to a very high standard. It will be a few more weeks before the book arrives in the shops and with all the online retailers, and the official publication date is now 28th November. The book will be available direct from Amazon.co.uk or from The History Press. A Kindle edition is also in preparation, and the publishers are currently waiting for Amazon to upload the PDF onto their website. The book will eventually go on sale in North America, Australia and other countries but it will take time for it to go through the distribution channels in these countries, and it probably won't be on sale overseas until the spring. In the meantime the History Press and Amazon UK both accept orders from overseas. 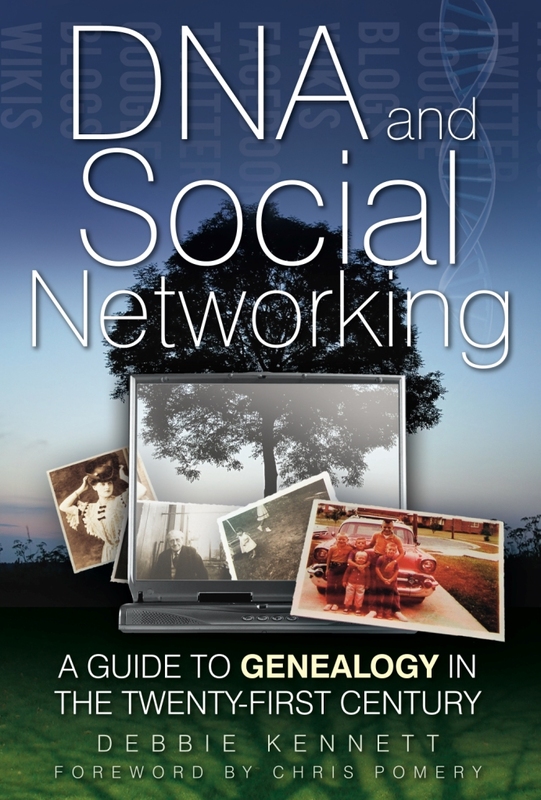 I will also maintain a small stock of copies which I can sell myself at family history events. Penelope, I'm not sure what is happening. Amazon initially had the publication date as 1st October but the official date is in fact 28th November. It takes a few weeks for the books to go out through the distribution channels to get into the shops and to the online retailers. Amazon haven't yet had their supplies so I don't understand why they're cancelling the order unless they have computers that automatically send out cancellation e-mails if a book hasn't been received within a certain amount of time. I'll check with the publishers. I'm sure it will be available soon. Amazon also emailed me the same Penelope Burton! I emailed Debbie about it and she is contacting the publishers. I'm really annoyed about it. Perhaps I'll try ordering it through the History Press next time! "I believe you are right; Amazon has produced this automated message due to the delayed publication of the book. I have notified our web & data manager and am told that the problem should be resolved within the next five days." I hope that those of you who have received this message will then be able to pre-order the book. Congrats Debbie! It is wonderful! Thank you CeCe. I think Amazon now have stocks of the book as it is showing up on their UK website as "in stock". Just received my copy this morning. Looking forward to reading it. Hooray...so proud of you! Can't wait to get a copy!